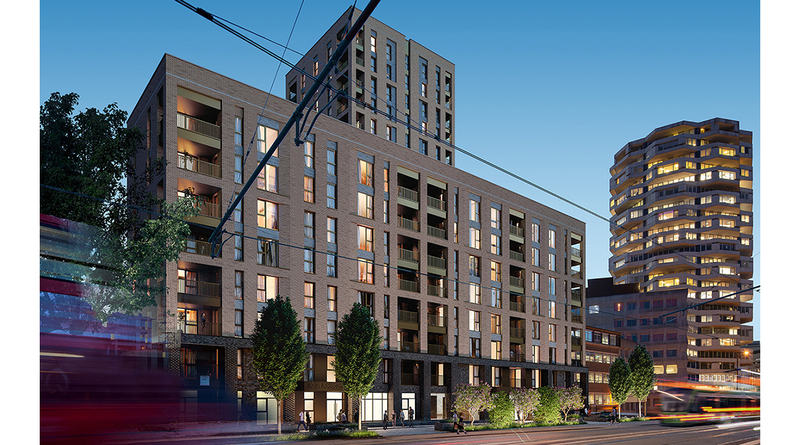 30-38 Addiscombe Road is an apartment complex sited in the dynamic and rapidly growing area immediately around East Croydon Station. 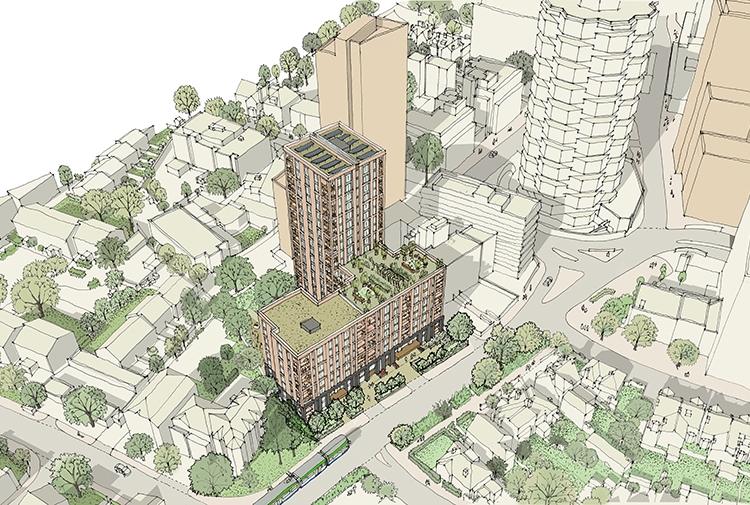 It comprises of an 8-storey mansion block addressing the street, with a setback 18-storey tower element to the south-west. 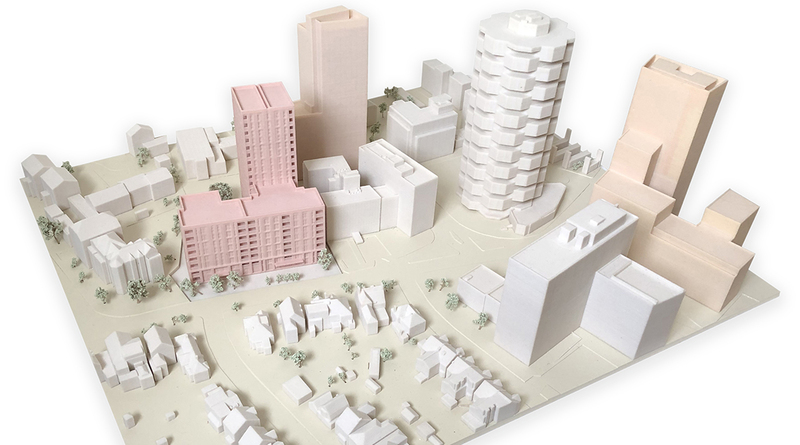 The scheme delivers 137 high quality new homes, 50% of which are affordable. The apartments are designed to a high benchmark and achieve, or go beyond the necessary space and amenity requirements. 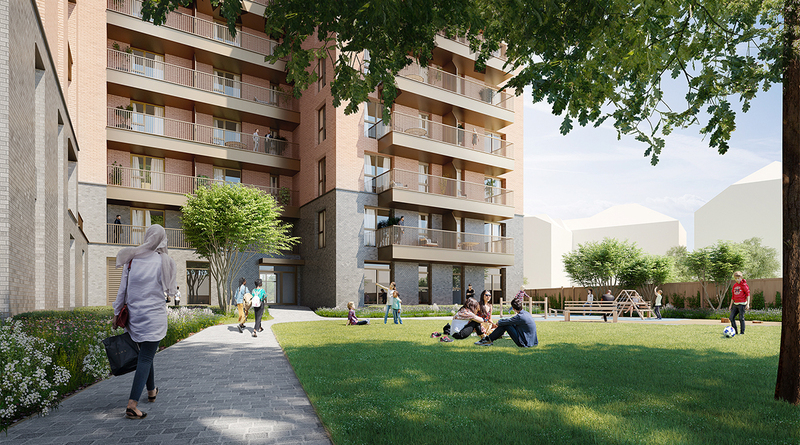 The scheme offers residents generous communal space; there is a roof garden and a large landscaped courtyard. Internal and external communal spaces are designed with a generosity of spirit that will help to foster a sense of community. The creation of a strong and well defined street presence, with active frontages enhances the local streetscape. 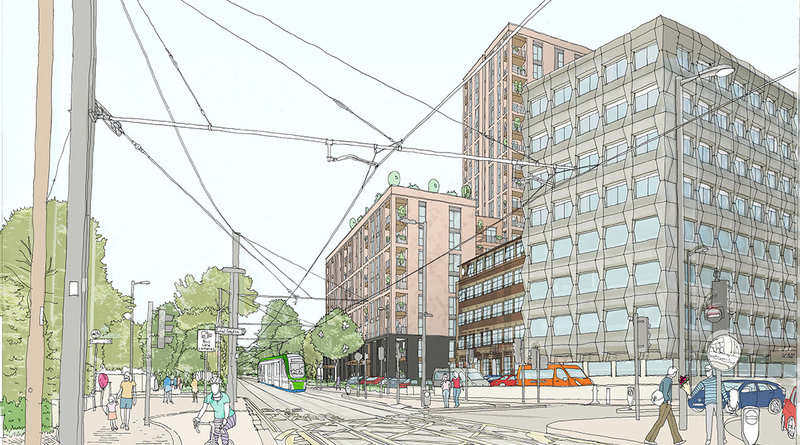 This includes an enhanced public realm that will ensure that the site is re-integrated into the wider fabric of the town centre. 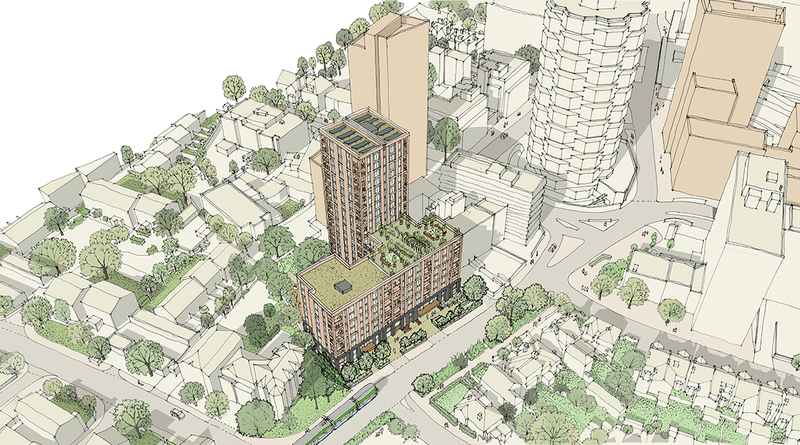 London & LB Croydon planning policy compliant design.